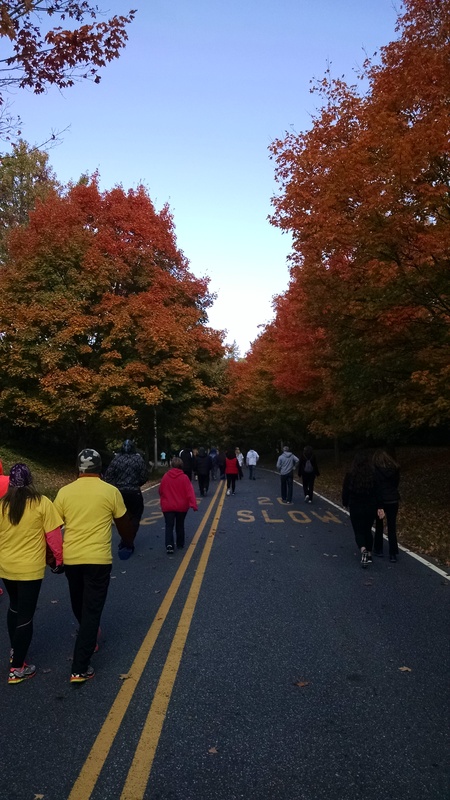 Yesterday morning I layered on some running clothes, then threw on a old, ridiculously huge sweatshirt (that less than five years ago was TIGHT on my overweight body) and drove to a nearby town to meet my friend Laurie for an Out of the Darkness Walk. 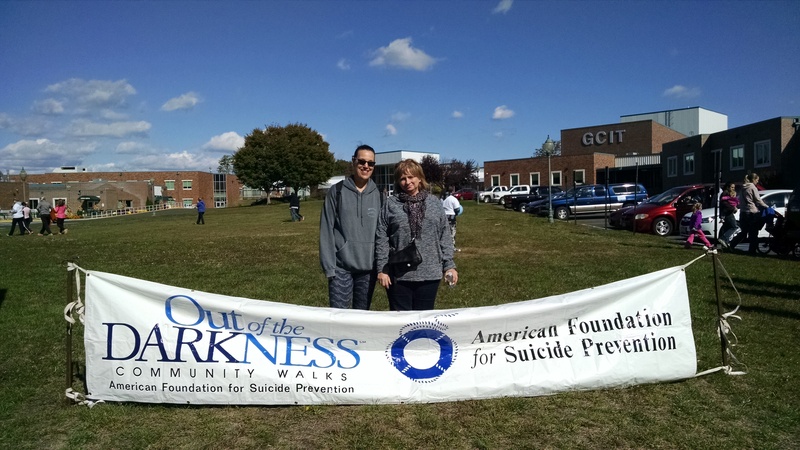 For those of you unfamiliar with an Out of the Darkness Walk, they’re run by the American Foundation for Suicide Prevention. 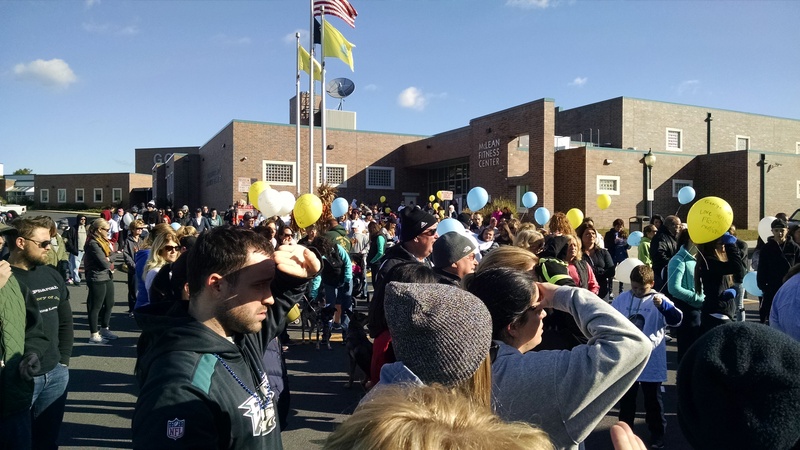 Their purpose is to raise awareness of mental illness, promote suicide prevention, and honor loved ones lost to suicide. There’s no donation required to walk, and there’s no run, just walking. We arrived at the location (a local Institute of Technology) and checked in, each receiving a wristband. From there we helped ourselves to snacks from the snack table, all provided free for walkers. The place wasn’t solemn or sad. 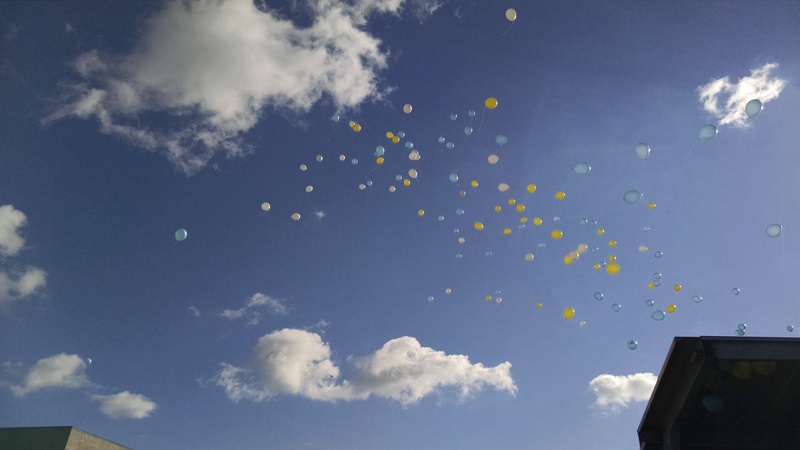 People were smiling, telling stories about loved ones, wearing commemorative shirts, and writing notes of love and remembrance on balloons that would later be released into the crisp blue sky. I even noticed one young woman who had written “I am a survivor” on her balloon. Even better, there were DOGS everywhere! This adorable fella ran right up to me and leaned against my legs for a few minutes as if he were “claiming” me or telling his owner he wanted to take me home! Haha. Laurie and I both agreed that pets truly help people with depression. 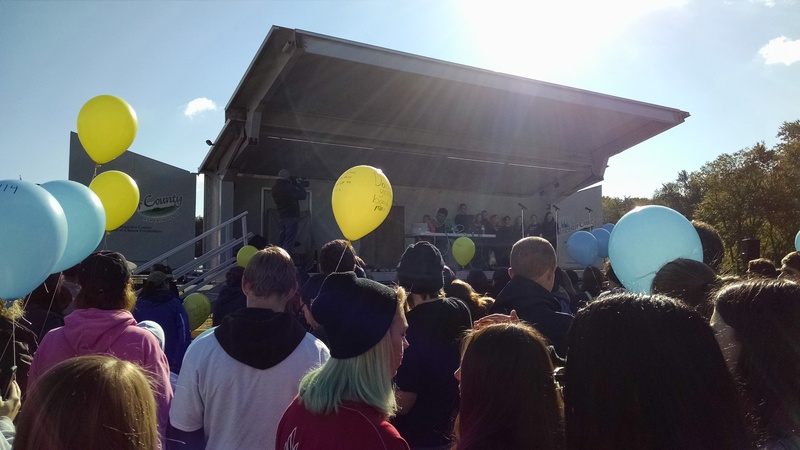 There was a presentation where some students from the school sang a few songs about hope, which was the underlying theme of the day. The walk itself was through a beautiful semi-rural location, filled with the colors of autumn. Imagine the impact the smallest act of kindness could have on a stranger. Just imagine it. If you or someone you love is contemplating suicide, please, seek help. And remember: you are not alone. Great blog and sounds like a great walk as well! 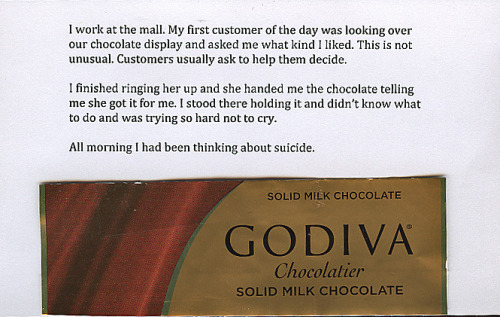 Reading that post secret is hard not to tear up/cry! 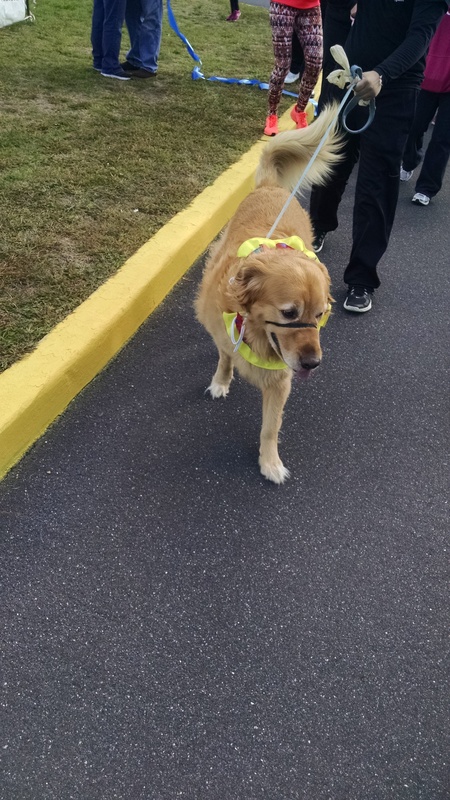 This was such an amazing walk that you did! I agree. The Post Secret really was sad. I hope the girl has gotten help. Beautiful pics and GREAT message. You just never know when you will touch a life just by doing a very small thing. Thanks for representing, SD!